The Supreme Court on Monday warned that the courtroom should not be reduced to the level of a ‘fish market’ after heated exchanges broke out during the hearing in the cases relating to the death of special Central Bureau of Investigation judge B H Loya. As the hearing in the cases heated up again, the apex court took umbrage at the verbal duel between two senior lawyers Dushayan Dave and Pallav Shishodia, calling it ‘unacceptable’. 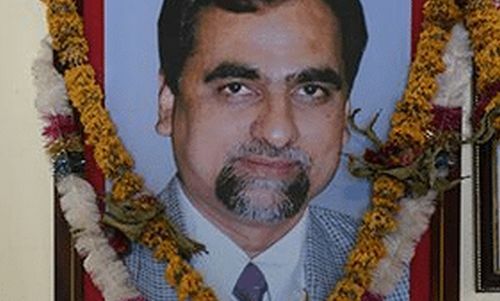 Loya, who was hearing the Sohrabuddin Sheikh encounter case, had died allegedly of cardiac arrest in Nagpur on December 1, 2014 when he had gone to attend the wedding of a colleague’s daughter. “Let us not reduce the dialogue in this court to the level of a fish market. You should not shout down a judge who is saying something. You will have to listen to me, Mr Dave... You address when your turn comes,” Justice D Y Chandrachud, who was part of the bench presided over by Chief Justice Dipak Misra, told Dave, representing Bombay Lawyers Association. “No, I will not. Your Lordships should have stopped them (Pallav Shishodia and Harish Salve) from appearing in this case. You will have to answer your conscience,” Dave retorted. “Don’t teach us about out conscience,” the bench, which also comprised Justice A M Khanwilkar, responded. Shishodia, appearing for Maharashtra-based journalist Bandhuraj Sambhaji Lone who has filed a PIL also seeking probe into the case, referred to two conflicting news reports and said that they have led to ‘insinuations on the integrity of our judicial system’. “In the circumstances, it is submitted that an independent probe cannot be one way traffic in which persons making allegations can just ‘hit and run’ without any responsibility to damages caused to the reputation, prestige and faith in institutions including this court and judiciary as whole,” the senior lawyer said. The assertions did not go down well with senior advocates Dushyant Dave and Indira Jaising who took a dig saying that if he (journalist) did not want an enquiry then what was the need to file a petition. Dave also criticised Shishodia by using some harsh words and said that the submissions have exposed him alleging that the plea was filed to ensure that the matter is buried. “You had appeared for Amit Shah and now you are appearing for the petitioner,” Dave continued. “Mr Dave, we don’t care what you say. You go to hell or heaven or wherever you want,” Shishodia said in his response, prompting the court to intervene. “I won’t hear,” Dave said, adding that Bar Council of India is issuing notices and is trying to infringe rights of lawyers like him from raising the voice and submitted that the bench should stop lawyers (Salve and Shishodia) from appearing in the instant matter as they have represented Amit Shah. Taking note of exchange of words, the bench said, “This is unpardonable” and told the two lawyers (Dave and Shishodia) that their language was not good as this kind of dialogue would shame even a fish market. “Courtesy begets courtesy,” the bench said, adding that sometimes, the words used are ‘unbecoming’ of a lawyer. “Sometimes courtesy does not beget courtesy,” Salve, who was appearing for Maharashtra, said. Dave said that the State should be protecting citizens and only it has the resources to conduct an enquiry. At the outset, senior advocate V Giri, appearing for Congress supporter Tehseen Poonawala, referred to alleged deficiencies in the probe conducted by Maharashtra State Intelligence Department in the case which had commenced after a letter was sent to the Chief Justice of the Bombay High Court by the SID. The senior lawyer referred to the sequence of events leading to the death of Loya on December 1, 2014 at Nagpur. “The State Intelligence Department has failed to explain how post-mortem report dated December 01, 2014 notes the date of death as December 07,’ Giri said. The bench fixed the matter for further hearing on February 9. Poonawala and Lone have filed PILs seeking an independent probe into Loya’s death in 2014. The top court had earlier transferred to itself other pleas pending in the Bombay high court and had restrained other courts from entertaining any petitions.